Web Design and Development We serve large, medium and small businesses with quality service. Every website that is designed looks unique and is on the cutting edge of technology; it is our desire to convey the personality of each client or product. Web Design and Development As a web site design and development company, we will work with you to develop a web design or web application that meets your business’s specific needs while making sure that its custom graphics, layout, and content are appropriate for your targeted audience. We design websites that are not only creative and pleasing to view, but also have cross browser compatibility, and are smooth to navigate. Call Us and Learn more about our services. Whether your business is large or small, you probably already realize the importance of a high quality website. In today’s business world, customers expect to be able to learn about the companies they do business with by checking them out on the web. In fact, a website is often what potential customers base their first impression of your business on. If it doesn’t impress, it’s unlikely you’ll hear from them. 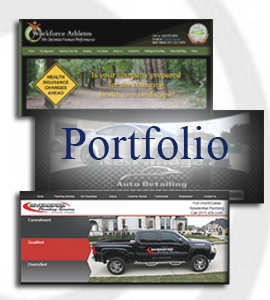 For companies in Manassas, web design can be quite important in order to stay competitive. If you want your website to stand out from the crowd, we invite you to contact us at Web Designs by Sarah Albright.